In recent years, remanufacturing has received increased attention as a sustainable and profitable product recovery strategy. To facilitate the remanufacturing of used product returns, factors which affect remanufacturability should be considered during the product design stage. The selection of fastening method during the product design stage is one of the critical decisions which affects the remanufacturability as well as the total cost of disassembly and re-assembly of used products. Hence, both product assembly and disassembly issues should be considered in the product design stage for the selection of fastening methods. Simultaneous consideration of product assembly and disassembly in the product design stage for the fastening method selection has not been properly addressed in previous studies. In this paper, a methodology for selecting appropriate fastening method from a remanufacturing perspective is proposed in which both product assembly and disassembly are addressed. In the proposed methodology, an optimization model is formulated with the objective of minimizing the total cost of product assembly and disassembly. The genetic algorithm is employed to solve the model. A case study on the selection of fastening method for a laptop computer is conducted to illustrate the proposed methodology and to evaluate its effectiveness. 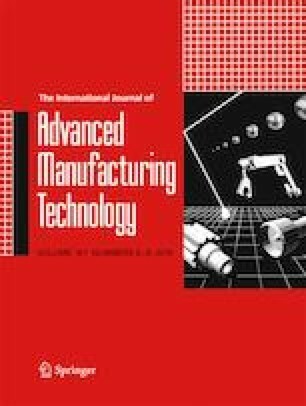 The effect of the degree of product disassembly and the demand size for remanufactured products on the total cost of product assembly and disassembly was also investigated. The results showed the proposed methodology provide significant cost savings in the total product assembly and disassembly cost. The work described in this paper was supported by a PhD studentship (Project account code: RUNJ) from The Hong Kong Polytechnic University.